Residential Project with 323 lots at one of the fastest growing economic development. The lots have a residential land use H3, the best density in the area. The development has all public services needed and its architecture is made with materials and designs specific for the region, according to its surroundings full of nature and pre-Hispanic cultures. 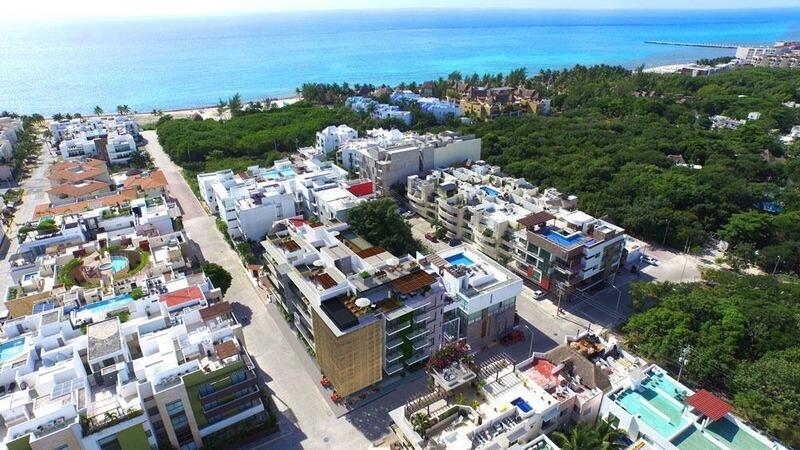 El Océano Azul is a sustainable project which will take advantage of state of the art technology on the use of solar energy through the whole project, where preserving the local flora is the main goal. Different amenities such as: blue spa, meditation zone, running track, zip line, rappeling and convenient tourist areas are located all around us. The location is extremely privileged; it is just 1 km from the beautiful virgin beach of Xcacel, sea turtle sanctuary. So you can walk or a 5-minute drive. Live the real paradise life at this gated residential!